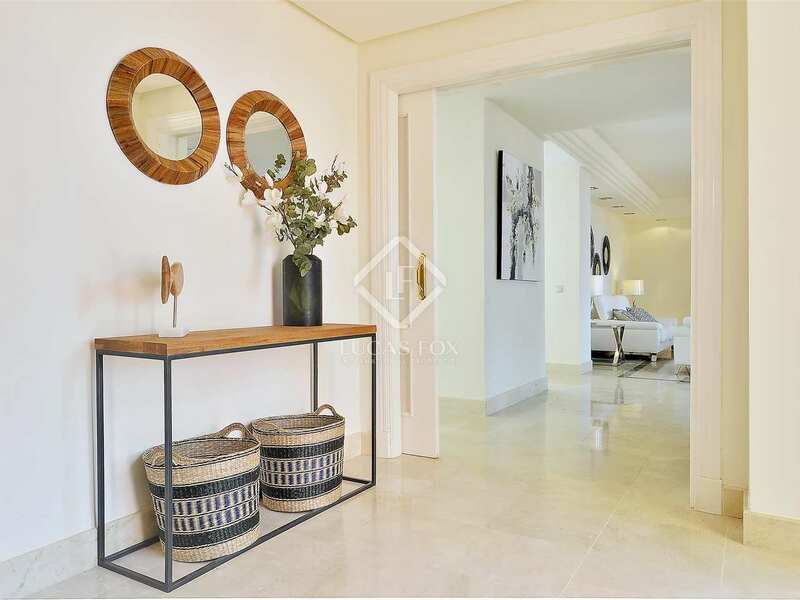 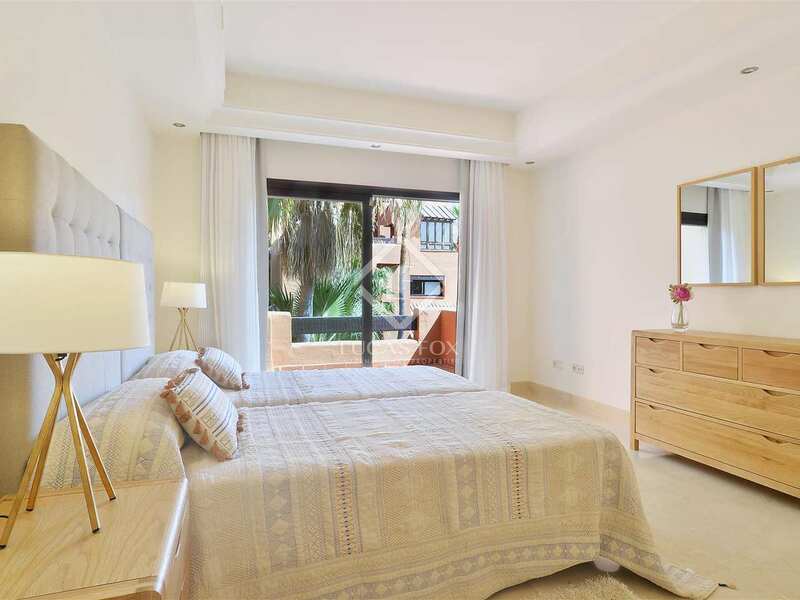 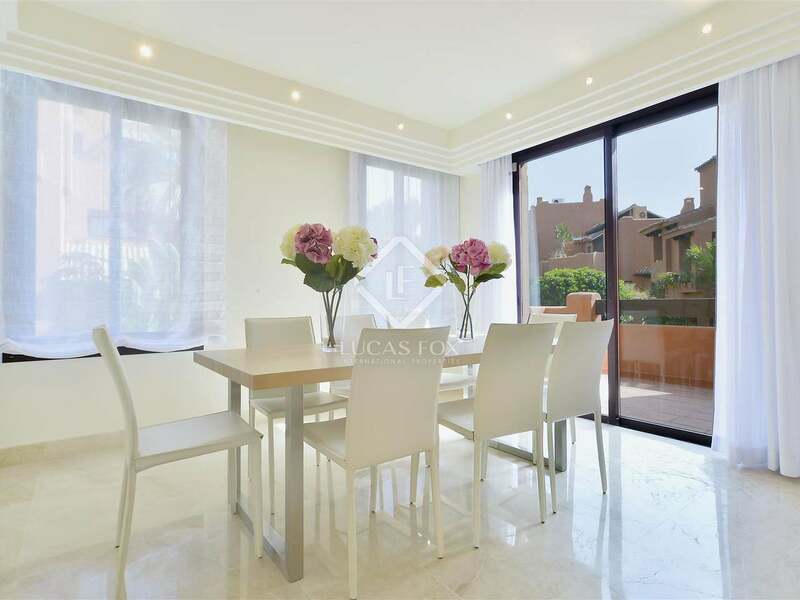 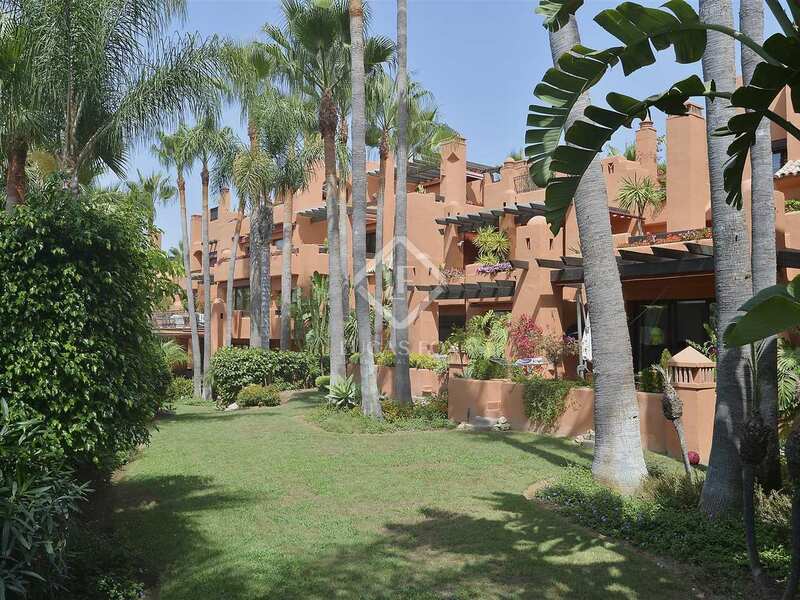 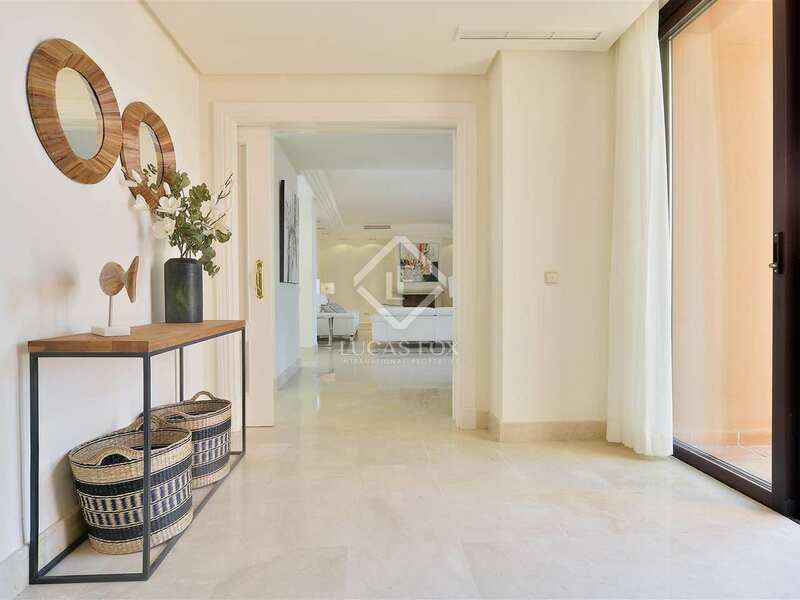 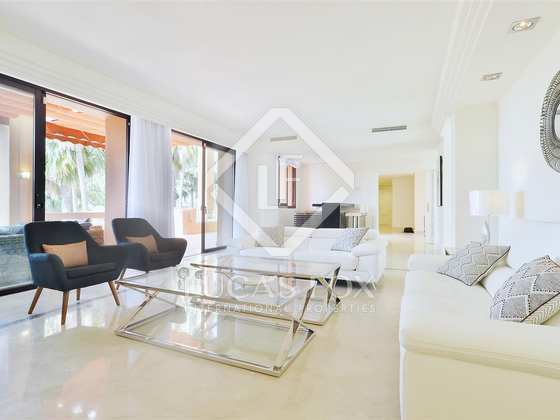 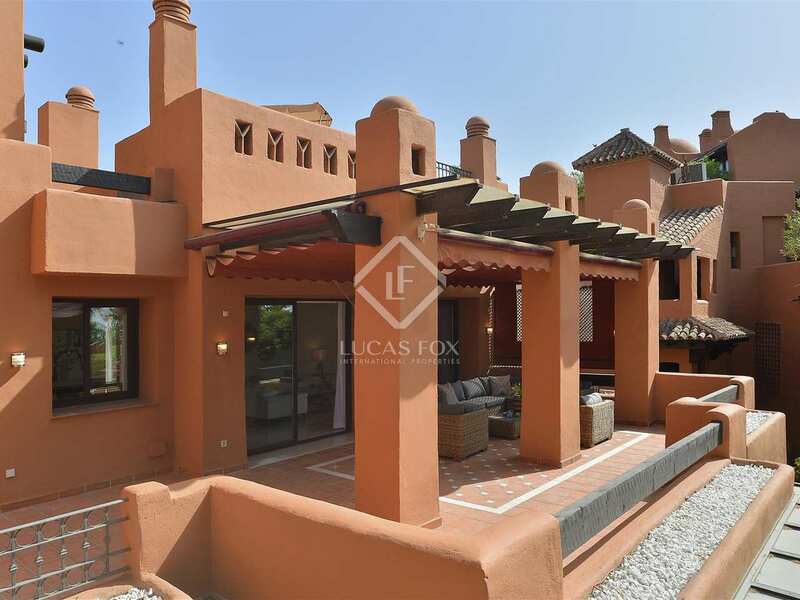 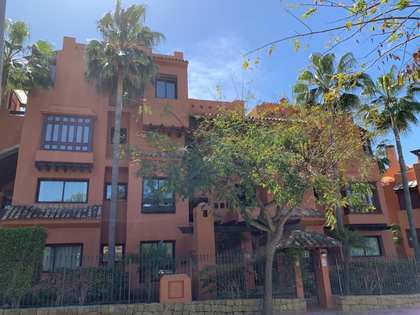 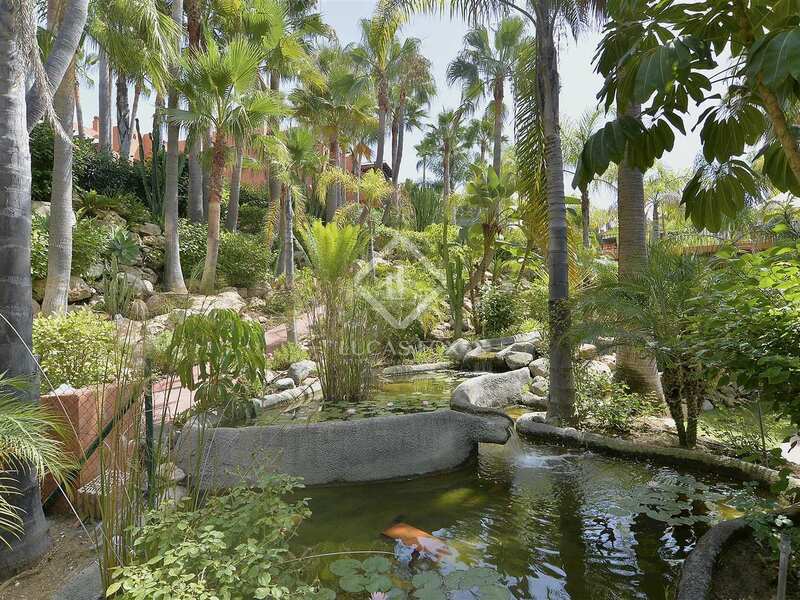 Excellent 315 m² duplex property with 255 m² of terrace space for sale in a wonderful residential complex with a landscaped communal garden and extensive lake-shaped pool in Nueva Andalucía. 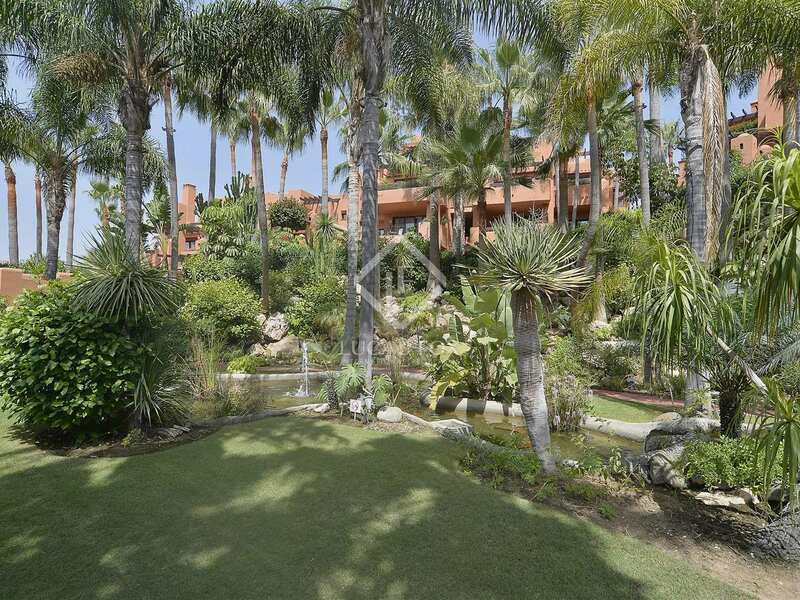 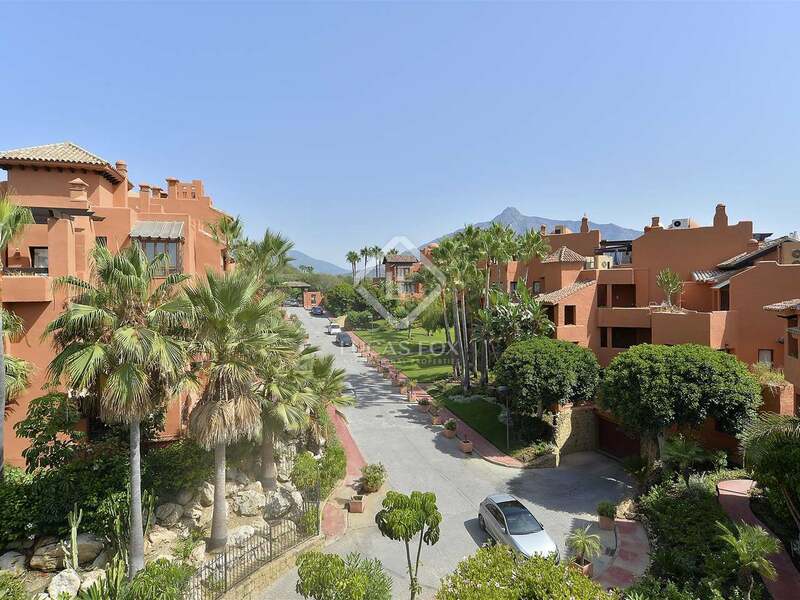 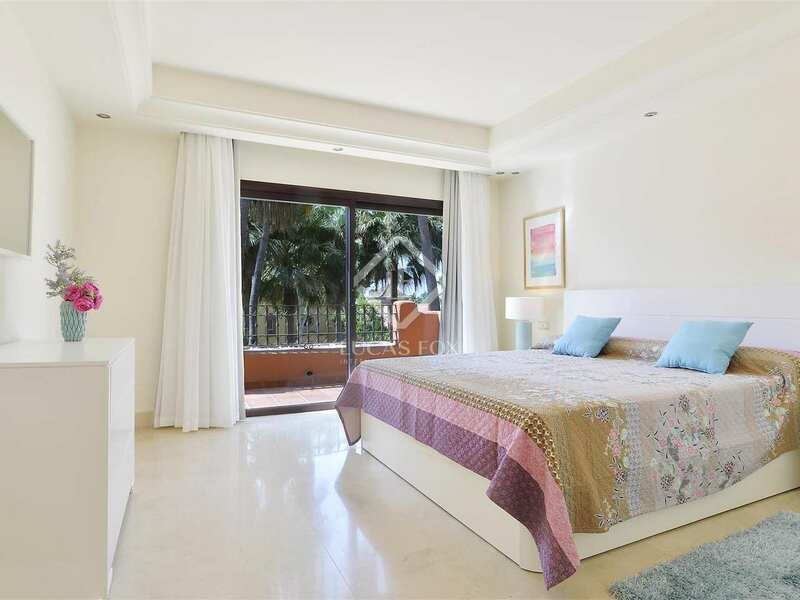 It is just 5 minutes on foot from the glamorous Puerto Banús and a 5-minute drive from Marbella. 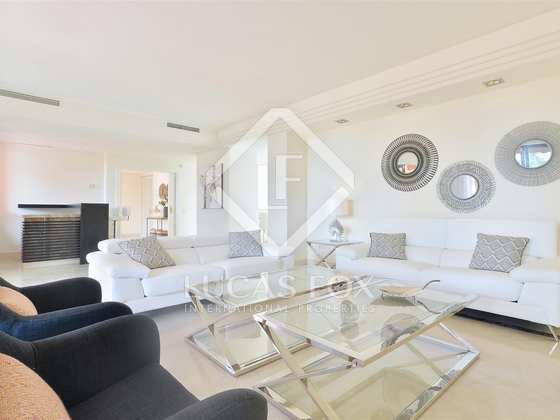 This modern duplex penthouse is a luxury residence with direct lift access to the entrance level. 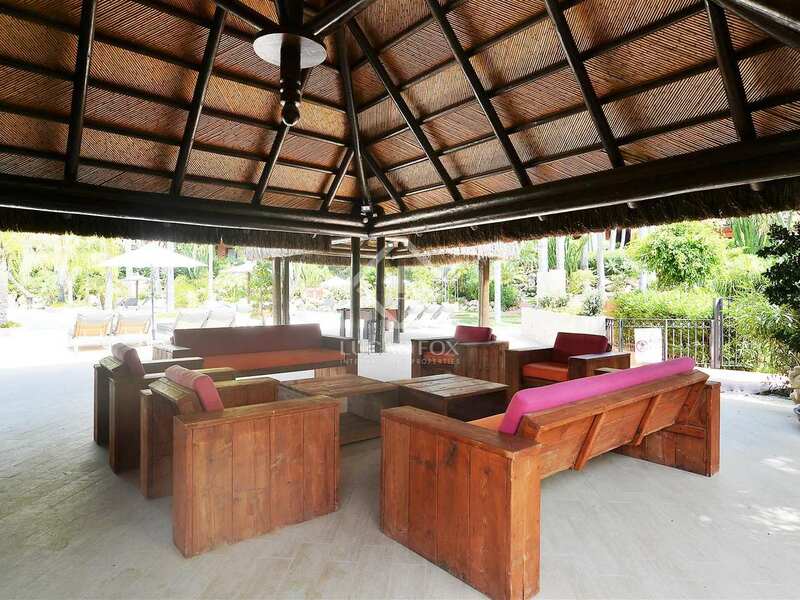 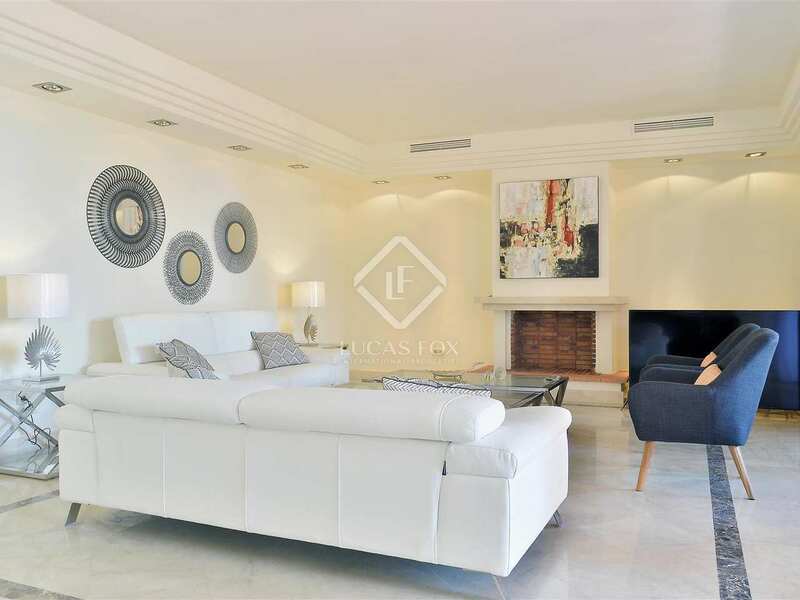 On this level we find the wonderful living room with a fireplace and access to a south-facing terrace of over 100 m². 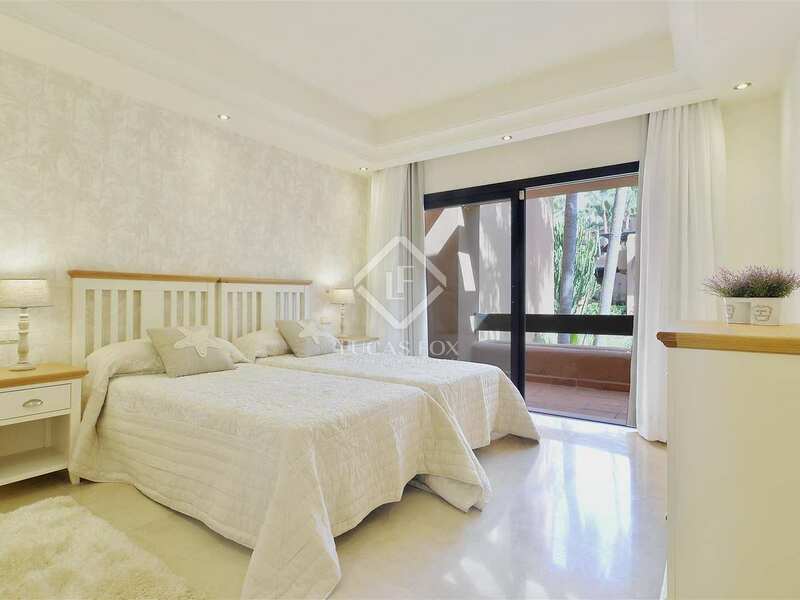 Also on this floor are 2 bedrooms with en-suite bathrooms, a guest toilet, an equipped kitchen and the utility room. 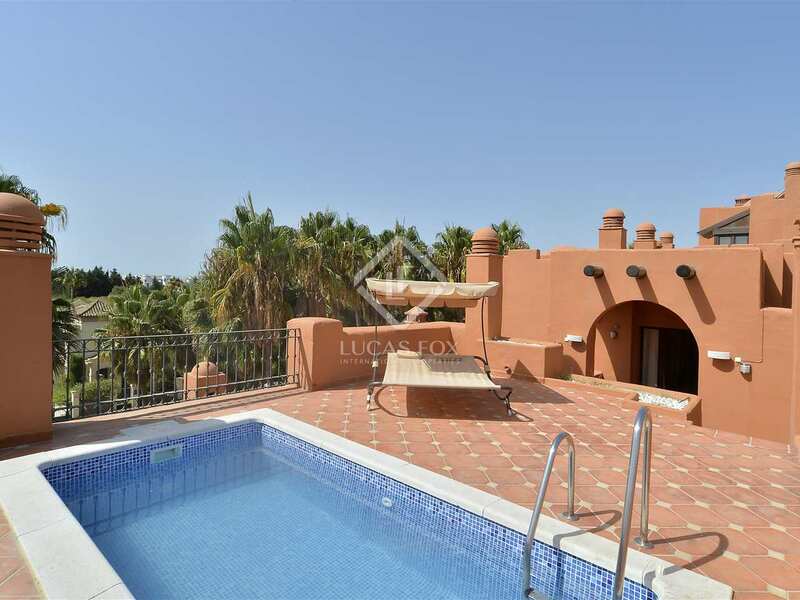 Upstairs are a further 2 en-suite bedrooms and another, even larger terrace with a private pool. 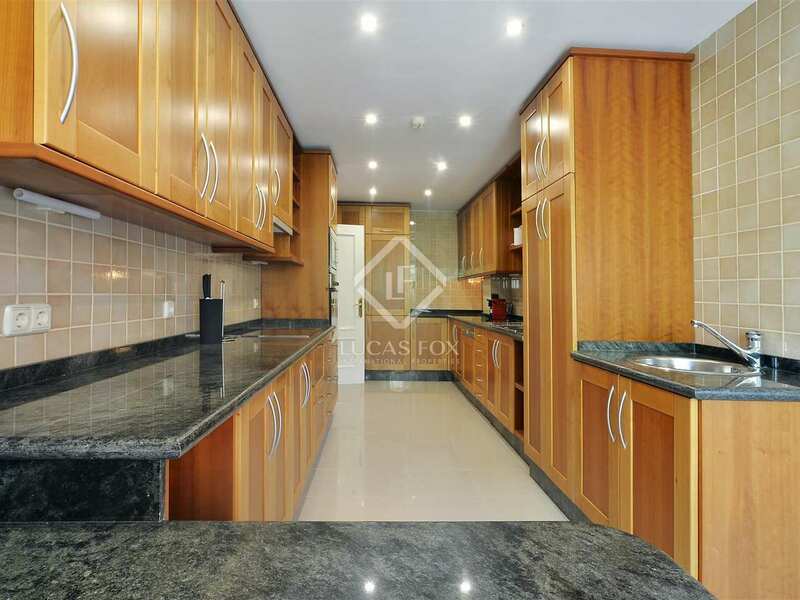 Furthermore, the property comes with a storage room and 3 parking spaces included in the price. A truly magnificent duplex penthouse with abundant private interior and exterior space as well as extensive communal areas. 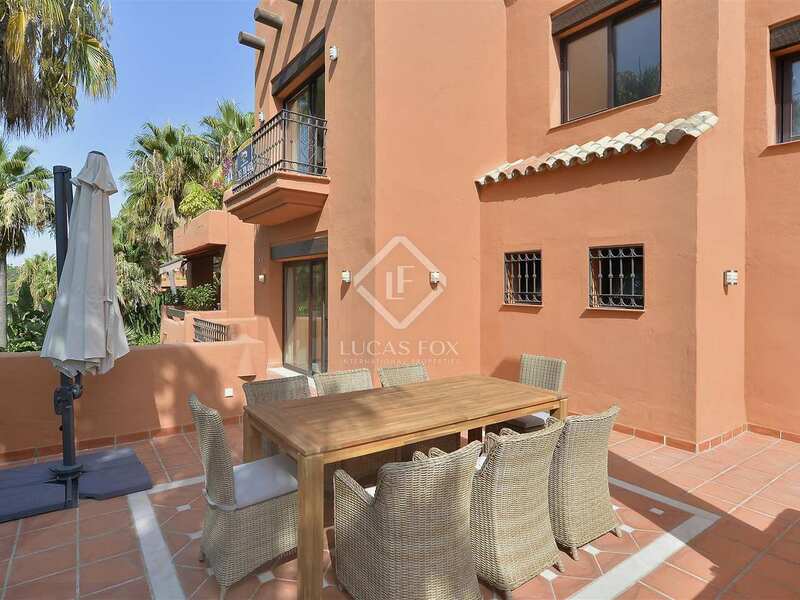 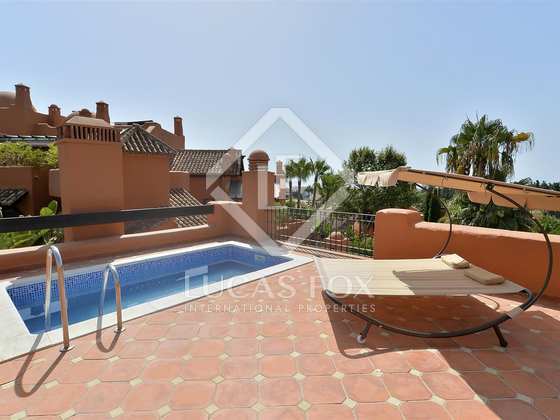 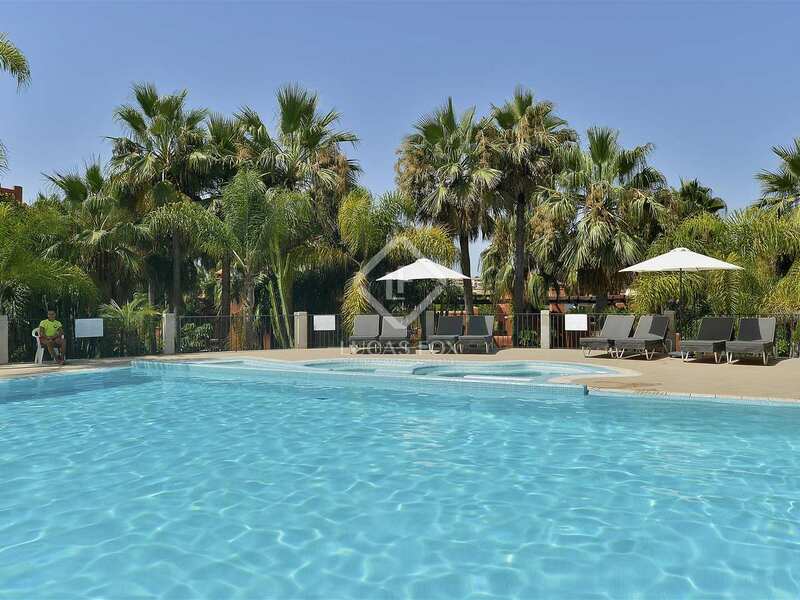 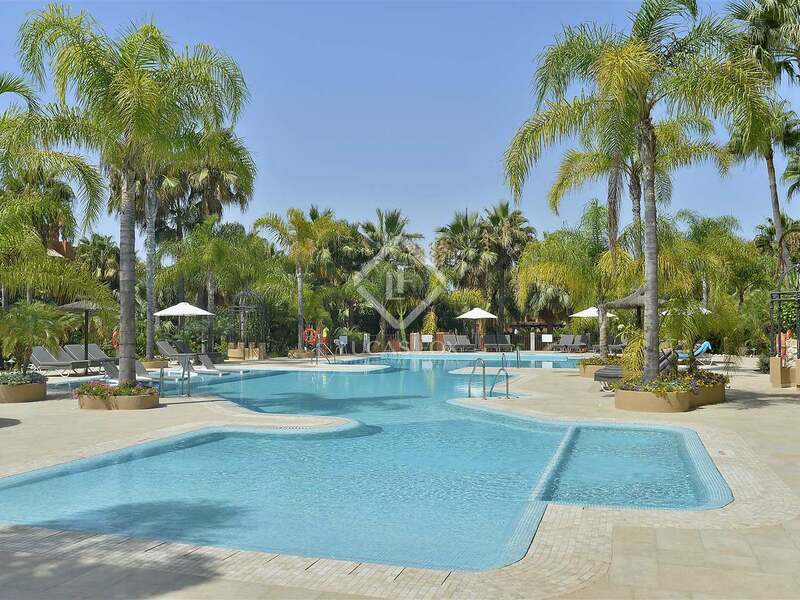 Apartment located within a residential complex Just 5 minutes' walk from Puerto Banus, a 5-minute drive to Marbella and an hour away from Malaga Airport.